Our team, along with our web developers, made every effort to modernize and simplify the design of our website. Improving the user experience was our primary goal. As a communication training firm, we decided to take our own advice and be more concise. No more long strings of text. Instead, we focused on making sure our key messages are front and center, making it easy to find what you’re looking for. We wanted the new site to paint a picture of who we are, what we do, and what makes us unique, so we created a video. The producers put together a terrific showcase of a presentation skills workshop as well as a one-on-one coaching session. View the video in the middle of this page. We’ve added a resource center that is more than just blog posts. The resource center allows you to dig into topics around business communication through blog posts, videos, books, webinars, infographics, a white paper, and more. There is also a new functionality that allows you to search for a specific resource type based on whether it’s needed for yourself, your team, or your consultancy. Take some time and wander through our resource center. 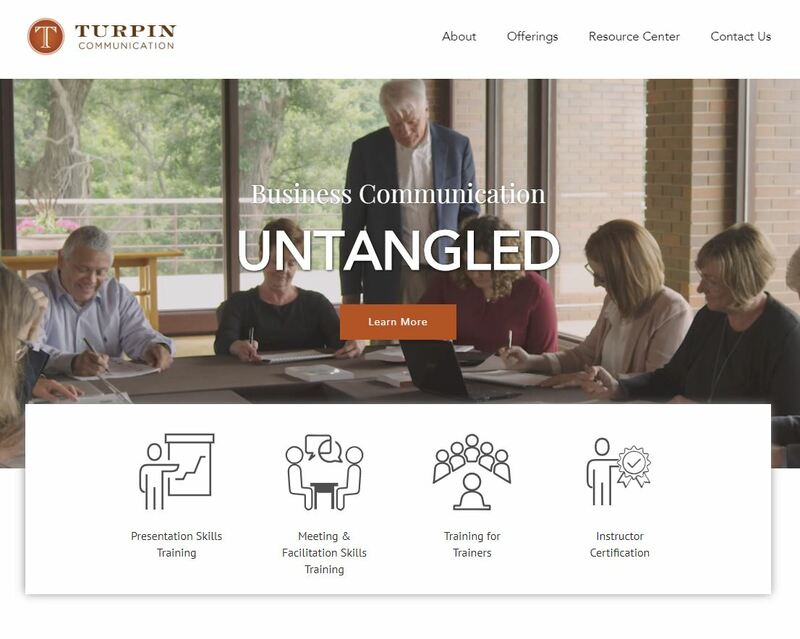 Turpin is committed to making the experience of working with us easy, hassle-free, and focused on making our clients’ jobs easier. The new site ensures that our digital presence matches the physical one. We encourage you to explore the new website and sign up for the mailing list. We will continue our tradition of providing fresh resources through our quarterly newsletter.